Enoch Balotelli – remember the name, Actually, to be honest, it’s not an easily forgettable one, is it? Well, the 19-year-old Italian has followed his more famous brother over to England in an attempt to get himself a contract with Stoke City. Enoch made his debut for the Potters’ reserve side in a goalless draw with Burton Albion’s second-string, and impressed with a few skilful moves. The younger Balotelli brother is apparently staying with Mario in Manchester (wouldn’t you love to be a fly on the wall for that). Let’s hope young Enoch gets a contract as we need all the Balotelli goodness (and madness) we can get. Love Super Mario. Love how the sky pundits give him such a hard time, when their precious Wayne Rooney behaves like a saint. 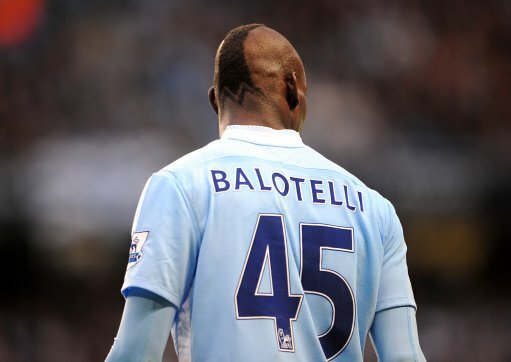 OOOOOOOOOOOH, Balotelli, He’s a striker, loves fireworks… He really loves the grass, with his brother he’s a blast, drives from Manchester with a knapsack full of cash! “Mario and Luigi” are reunited… now where’s their princess?? ?